See more objects with the tag personal, symmetry, tool, mobility, innovative, prosthetic, custom-made. This is a Prosthetic leg prototype. It was printed by 3D Systems. It is dated 2014 and we acquired it in 2016. 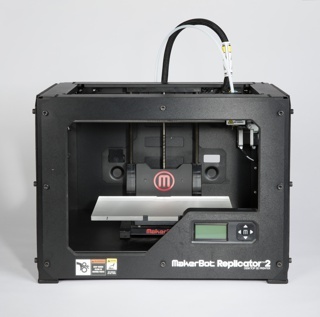 Its medium is selective laser-sintered polyamide (nylon). It is a part of the Product Design and Decorative Arts department. 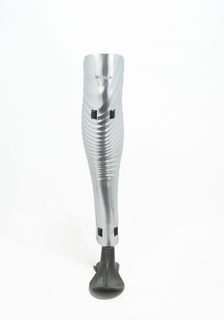 The underlying geometry of this prosthetic leg was derived from a 3D scan of the user’s opposite leg, and thus restores body symmetry and accounts for the user’s unique anatomy. 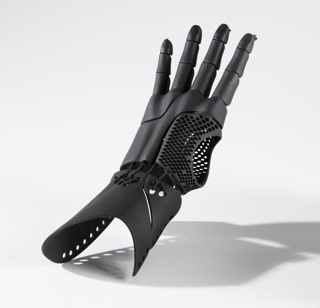 Creating this prosthetic requires no medical specialists—just a tablet-based app and an easy-to-use scanner. Trained specialists are rare in many parts of the world. 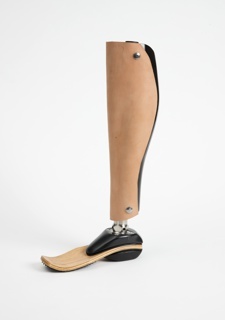 Because this limb is custom-made for a particular user, the product is a lower theft risk than a standard prosthetic. This object was donated by 3D Systems. It is credited Gift of 3D Systems. 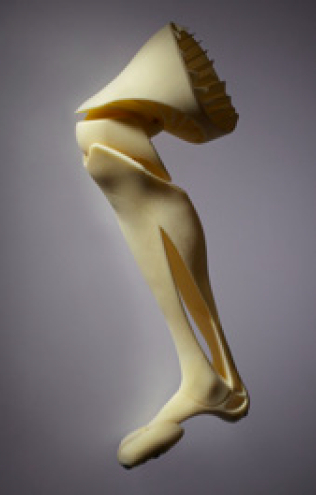 We have 2 videos that feature 3D-Printed Prosthetic Leg Prototype Prosthetic Leg Prototype, 2014. 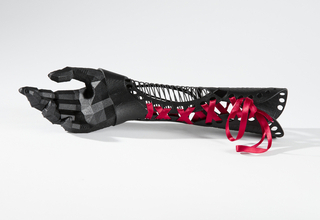 A demonstration of the 3D-printed prosthetic leg.